Preview all EDB file items: Emails, contacts, calendars, Journals etc. 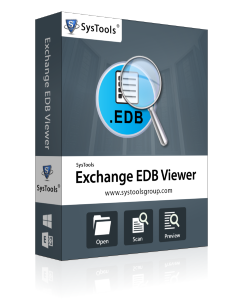 SysTools EDB Viewer Supports Exchange 2016, 2013, 2010, 2007, 2003, 2002, 2000 versions. SysTools Exchange EDB Viewer is portable software that provides users with the possibility to easily open EDB files with their Emails, Contacts, Calendars, Attachments, etc. This is the best Exchange EDB Reader to preview & open damaged or corrupted Exchange database (.edb) files of Exchange Server 2016, 2013, 2010, 2007, 2003 easily on any Windows OS versions including latest, Windows 10. 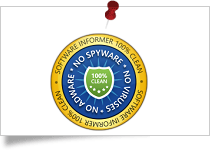 SysTools Exchange EDB Viewer software gets 100% clean award by Soft Pedia for delivering Ad/Virus/Spyware free solution to open edb database . 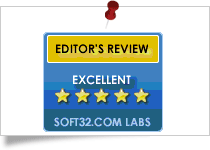 Soft32 provides SysTools Exchange EDB Viewer Software gets 5 star rating for being the most effective product for opening EDB files with attachments. SysTools Exchange EDB Viewer is the recommended software among various others as it has the best performance for opening EDB files. Multiple Exchange EDB files having several mailboxes in it are possible to view with Exchange EDB file viewer. The Exchange EDB Reader software loads all the mailboxes present within an EDB file & open .edb without Exchange Server 2016, 2013, 2010, 2007, 2003 & below versions . It instantly allows you to view EDB File contents like emails, contacts, calendars, tasks, notes, journals etc & helps to open edb database within Offline EDB Reader software. Each item that Exchange EDB Viewer software previews, will show you the associated properties as well. You can view the details like from. Subject, date, first name, last name, display name, email address, calendars subject, start time, end time etc. EDB file opener will retain the email attachments as well while viewing emails from Exchange EDB file. In order to open and preview the EDB file mailboxes & items in it, EDB file viewer software performs a quick scanning of file. But, if your EDB file is severely damaged then advance scanning options is available; which allows you to recover data from corrupt exchange EDB file. Quick - Preview all EDB File items incase of minor damage of EDB files. Search All Drive : This feature with Exchange EDB Reader enables users to automatically scan all Drives within users system & open edb database for viewing. 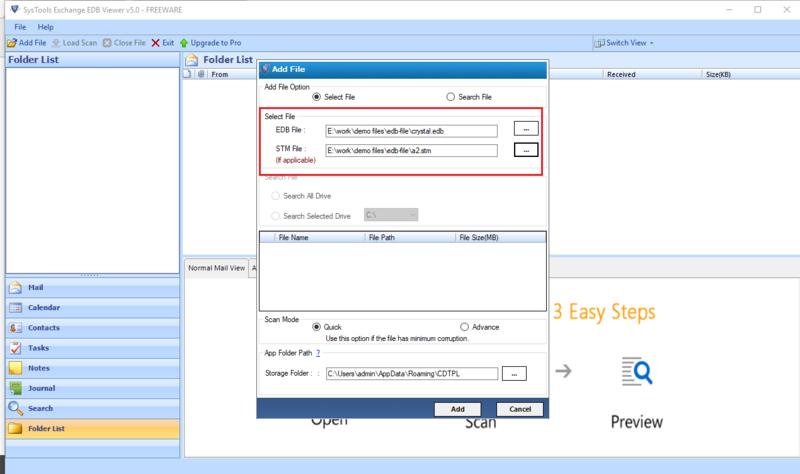 Search Selected Drive : Enables users to automatically search within desired drives selected by the users & read EDB file data easily. Step 3: Preview & Read EDB Items - Emails, Contacts etc. Upgrade to EDB Viewer Pro for Advance Search & Export Exchange EDB file as PDF. How Can I Open EDB File Without Exchange Environment? Step 4: Multiple Views: Normal, Hex, Properties, HTML, etc. Can I convert all of my EDB file contacts with EDB Viewer Pro? Yes, EDB File Viewer Pro software will help you to open EDB file and convert all emails, contacts, calendars and other data to PDF format successfully. Additionally you can also utilize the ESE DB Viewer to open your ESE database. Does software also preview attachments within an email? Is it possible to run the tool if Exchange Server is not connected to machine? Yes, Exchange EDB viewer software does not require any Exchange environment to be operated by the user to open EDB files. You can install and run this software even if Exchange Server is not available. Will I get license key in online mode or any physical media after purchase? You will get full version download link of the software via email after few minutes of making payment. If you need any assistance regarding software info please contact our Sales Team. 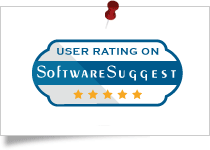 What to do if technical issues are faced while evaluating the Exchange EDB Reader tool? If you face any kind of issue while working on the tool; technical or otherwise, please contact our Support Team. They are available to help you 24x7. Can I view all public folder emails with attachments using this tool? Yes, this Offline edb Viewer software will Read EDB files all data of Public folder as well as Private Exchange mailbox . 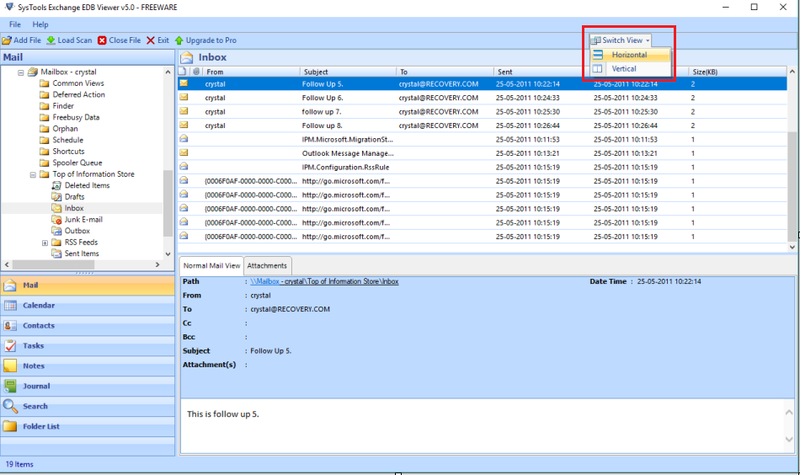 MS Exchange EDB Viewer Pro – Why to Upgrade? The searching option will help you to search keywords within EDB file and attachments. Also, you can filter the emails by subject, to, from, or any keyword. This makes it easier for the user to filter emails or any items from the data. You can also add other criteria & apply conditions on it to filter & find the data more quickly. While exporting the emails from exchange EDB file into PDF format, the software allows you to apply mail filter. In this way, you can export only selective data lying in specific date range. You only need to provide a date of "To" & "from" and software will export the selective data. In this way you can save time in exporting the complete data all at once. 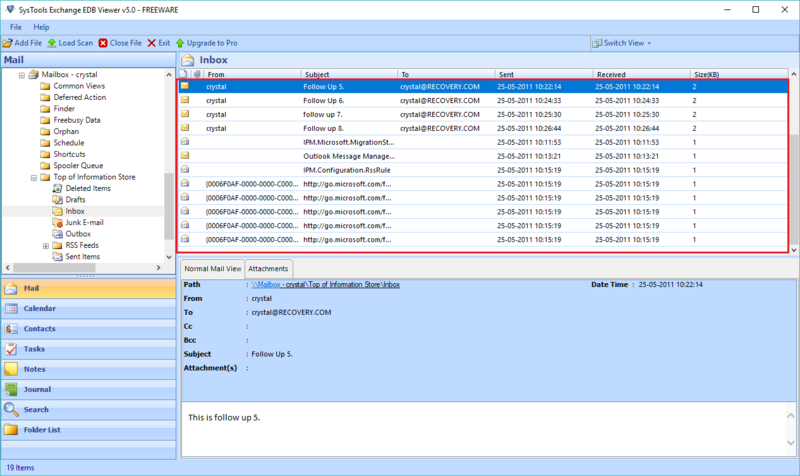 Great Exchange EDB File Viewer software to utilize or diagnose problems when Exchange Server refuses to view contents within EDB file even when it gets corrupt. All thanks to EDB viewer Tool who helped me recover & open EDB files, with this tool I was able to view EDB file contents. It has shown the result which I needed. 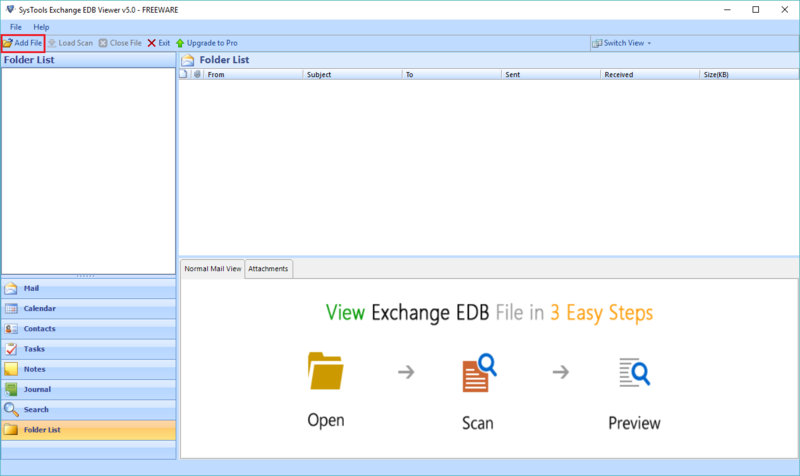 Exchange EDB Viewer software is the best tool to Scan & preview corrupt exchange EDB file mailboxes. I’m glad that I discover this Offline EDB reader tool to open EDB files as my files were highly corrupted. The tool did not require the presence of Exchange environment to view or read EDB files. All thanks to this software for helping me out. Last week I was facing problem, as my EDB file was not opening. I tried many EDB viewer freeware tools but I did not get satisfactory results. Then I banked upon ṯhis website and I downloaded the Exchange EDB Reader software. This is the best EDB viewer tool showed me what I wanted & I’m happy with the results too, Thank you!